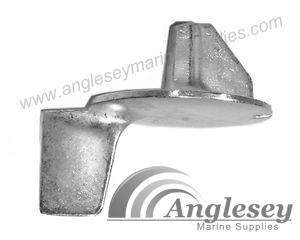 Zinc Sacrificial Boat Anodes and outboard engine anodes from Anglesey Marine Supplies. 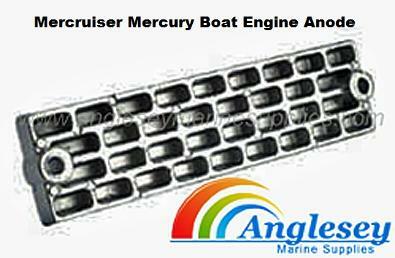 Mercruiser, Mercury and Mariner trim tab anodes. 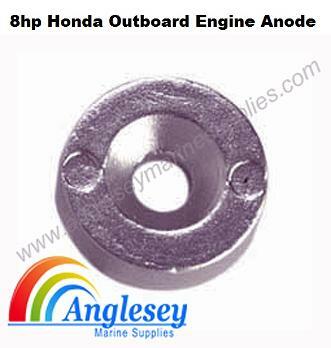 We have boat anodes to suit all the following outboard engines. Honda, Evinrude, Tohatsu, Suzuki outboard trim tab anodes to be added shortly, please ask if not shown. 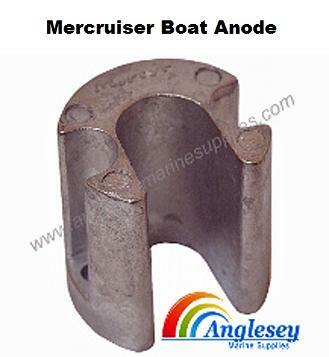 Mercruiser boat anode. 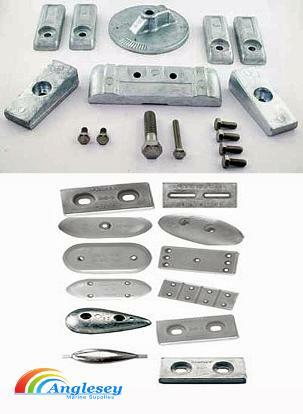 Zinc boat anodes for Blackhawk / Bravo Mercruiser boat engine ram. Mercury Mariner standard outboard engine anode. part number 316404Q4. 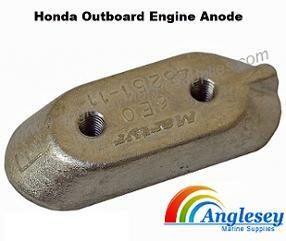 Honda outboard engine anode, suitable for all honda outboard engines except 8hp. 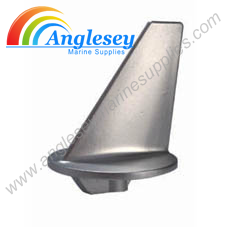 Honda outboard engine drive leg zinc sacrificial anode. Suits engines between 75hp to 90hp. 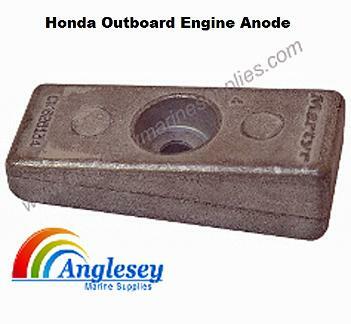 Honda 8hp outboard engine zinc sacrificial anode. 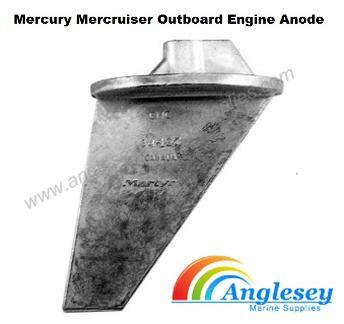 Mercury and Mercruiser zinc sacrificial outboard engine anode, to fit boat outboard engines Mercury part number 822777Q1 to fit outboard engines 175hp to 275hp. Also Mercruiser, all Alpha Bravo, TRS and SSM fitted with stainless steel propellers. 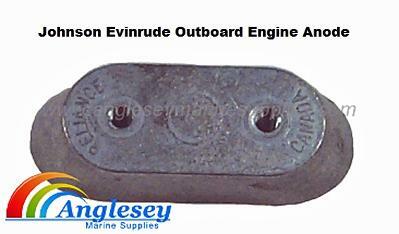 OMC outboard engine anode, to fit OMC outboard engines 20hp, 25hp and 35hp, part item number 434029. 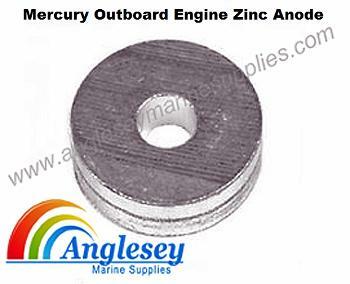 Zinc outboard engine anode to fit omc outboard engines. 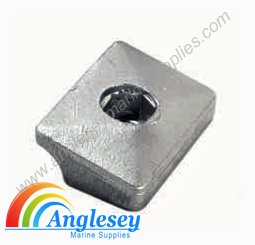 Marina Yamaha outboard engine anode, to fit Marina and Yamaha outboard engines from 40-60hp. Part number 679-4537100. Mercruiser boat engine anode zinc to fit Alpha 1 and Gen 2, part number 821629Q1. 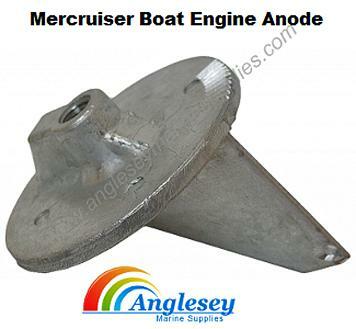 Mercruiser / Mercury boat engine sacrificial zinc anode, to suit Mercruiser boat engines 90-100hp and Mercury outboard engines 50hp, 60hp and 75hp. 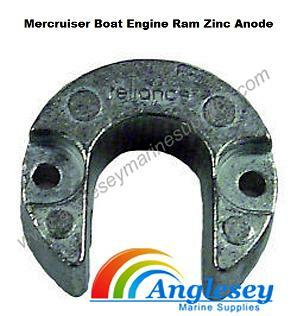 Mercruiser boat engine ram anode, Mercruiser Alpha / Bravo boat engine ram sacrificial zinc anode. 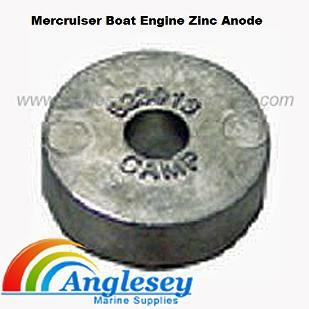 Mercruiser boat engine zinc anode. Part number 55989Q9. 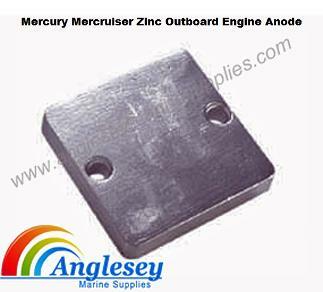 Mercury Mercruiser zinc outboard engine anode. Part number 34762A 1. 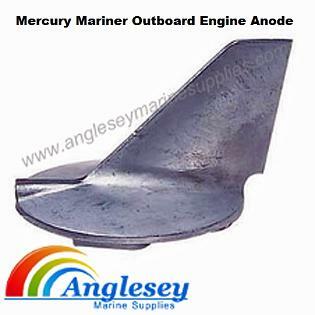 Mercury outboard engine zinc anode, to suit mercury outboards 2.2hp to 3.3hp. 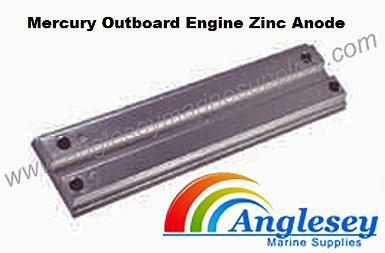 Mercury outboard engine zinc anode, to fit mercury outboard engines 4hp and 5hp. Part number 823912Q. 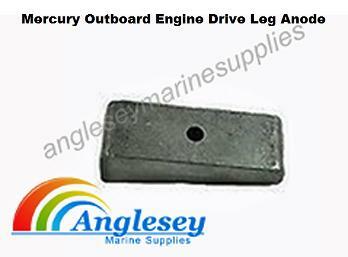 Mercury outboard engine zinc anode rectangular, to fit outboard engines 40hp to 60hp 1991 onwards. Part number 818298Q1. 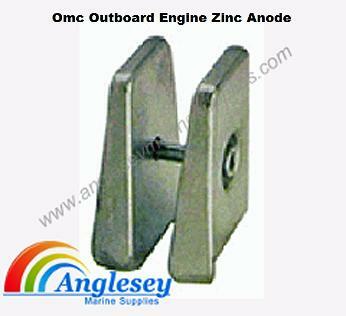 OMC outboard engine zinc anode, to suit outboard engines 5hp to 8hp 1980 onwards. Part number 432397. 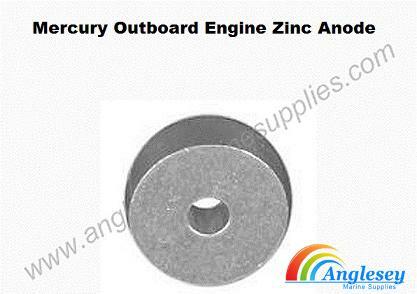 OMC outboard engine sacrificial zinc anode, to fit outboard engines 9.9hp and 15hp engines. 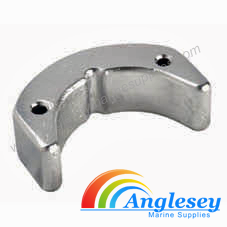 OMC outboard boat engine sacrificial zinc anode, to fit outboard engines 60hp to 280hp. Part number 398331 and 433458. 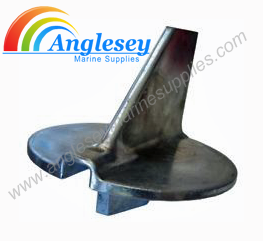 OMC boat engine outboard zinc anode, to suit outboard engines 50hp to 75hp 1982-1984. Part number 392461. 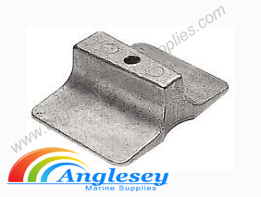 OMC transom mounted zinc sacrificial anode. 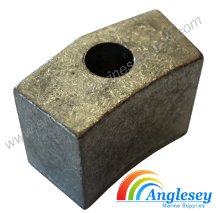 OMC outboard engine sacrificial anode, to suit boat engines 60hp-280hp, part numbers 398331 and 433458. 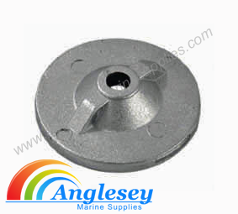 Suzuki outboard engine zinc sacrificial anode, to suit outboard engines 40hp, 55hp and 80hp, part number 55125-94400. 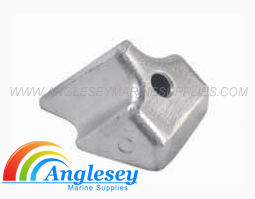 Yamaha outboard engine zinc sacrificial anode, to fit outboards 9.9hp - 15hp, part number 6E8-4225100. 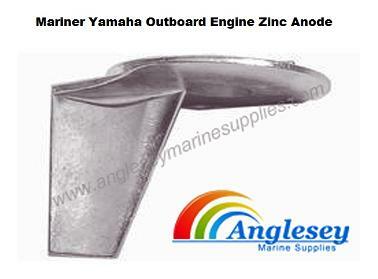 Yamaha outboard boat engine zinc sacrificial anode, to suit yamaha outboard boat engines 40hp-85hp. Part number 688-4525101. 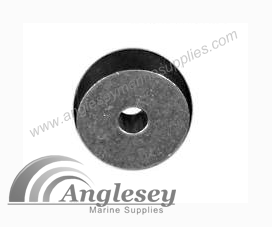 Yamaha outboard engine zinc sacrificial anode, to fit yamaha outboards 100hp to 200hp, part number 6ES-45371.